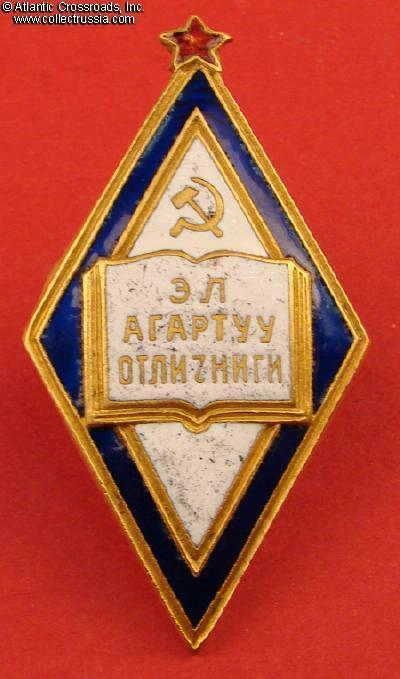 Badge for Excellence in Peoples Education of Kirgizstan, Type 1, 1944-1946. 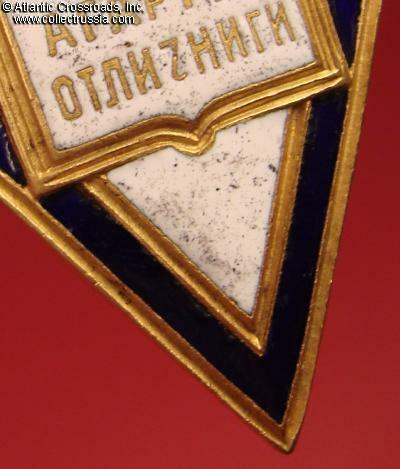 Brass, enamels; 52.0 x .6 x 27.6 mm. 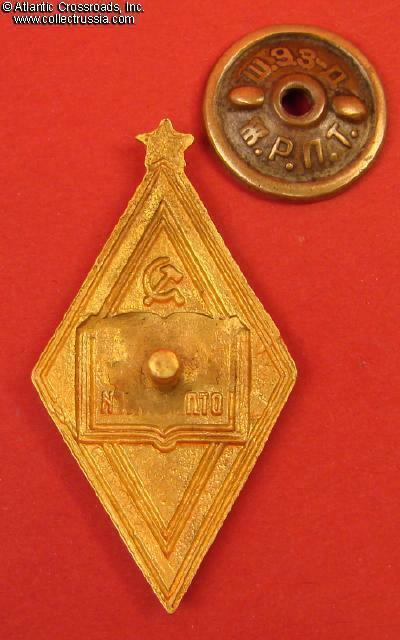 Featuring relief reverse construction and significantly larger in size than the later types, this Type 1 badge had been issued for only two years until 1946 so it is also known as the "Narkomat" type. 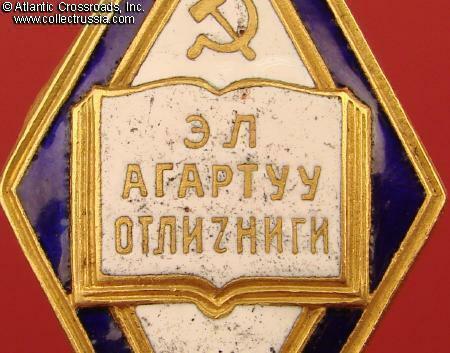 Since population of Kirgizia was tiny compared with most other Soviet republics, its Narkomat of Education badge is among the rarest in the series. In very fine condition. 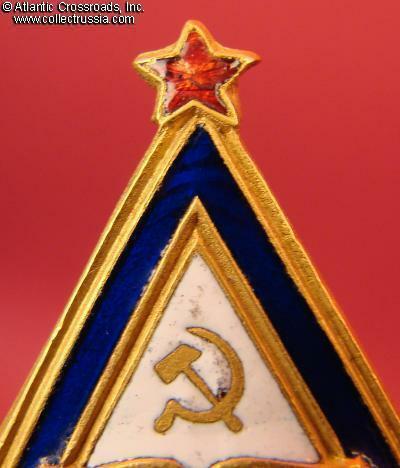 The enamel shows surface buffing, small flakes and a couple of tiny, pinprick chips to the white enamel (at the joining of the hammer and sickle and near the upper edge of the book) and to the star. The damage is however very minimal; the badge still creates a very nice impression, has a lot of character. The gilt finish is nicely preserved. Comes with maker marked screw plate of the ZhRPT Factory which is of the period and probably original to the badge. 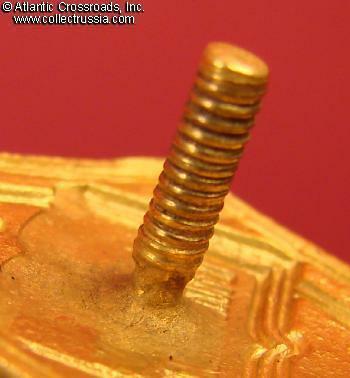 The screw post is full length, well over 12 mm.